Based in Hinckley with Satellite Offices around the country, A S Miles Consulting Ltd provides the PSV sector with legal and regulatory compliance advice, Driver and Transport Manager training, Health & Safety assessments and advice as well as Auditing from Compliance, ISO 9001:2015 and are DVSA Earned Recognition Approved Audit Providers. With a team of experienced Consultants with a breadth of knowledge and qualifications including they are able to provide operators of all sizes with advice and consultancy programs to improve and protect their businesses. CIRAS provides a confidential health, wellbeing and safety reporting service. Our membership community from across the transport sector works together to: reduce risk by surfacing concerns confidentially, where they might otherwise go unreported and improve safety culture by learning from reports, sharing good practice, and demonstrating that reporting makes a difference. DriveTech is a leading risk management and driver training provider, and part of the AA. 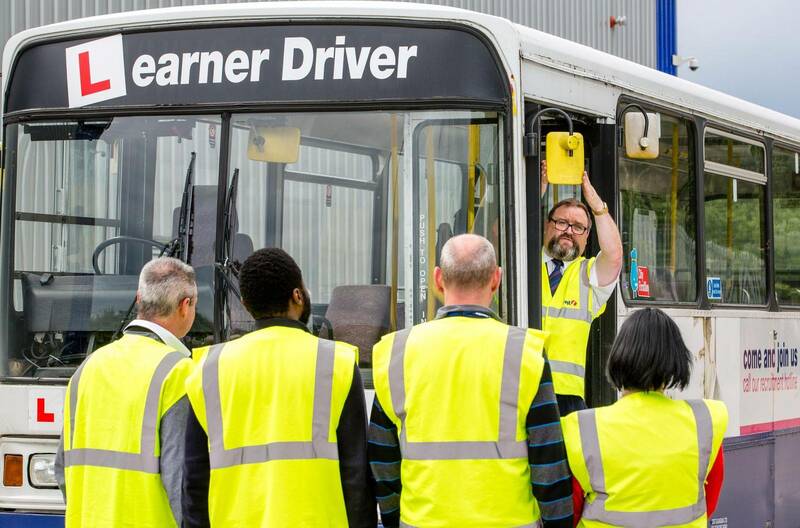 In addition to comprehensive fleet driver training services including licence checking, driver risk assessments, online learning and on road/workshop training, we offer specific bus and coach training including Driver Quality Management and Driver CPC programmes. Eos Training Ltd supplies training material for passenger Certificates of Professional Competence (Manager CPC). Supplying colleges, private training centres and major transport companies throughout the country with both tutor and student material. Established in 1981, Friendberry is a leading provider of training for the transport industry including Operator CPC for transport management – both passenger and freight, periodic Driver CPC, ADR Carriage of Dangerous Goods, Dangerous Goods Safety Adviser (DGSA), CPC Refresher and O Licence Awareness Training (OLAT). As well as a well-equipped training facility in Taunton, Somerset, Friendberry are also able to provide onsite and local training programmes around the UK . Lloyd Morgan Group are one of the UK’s Largest Independent Maintenance Compliance Service Providers. Our Vehicle Inspection, Compliance Audits & Training Solutions are endorsed by the Leading Trade Association Confederation of Passenger Transport (CPT). We have Corporate Member status of The Chartered Institute of Logistics and Transport (CILT), whom we work closely with on a range of training courses. An independent consultancy, Minimise Your Risk was established in 2002 to advise on health & safety, risk management and training. Minimise Your Risk offers bespoke courses, including in-house Driver CPC, and resources to companies of all sizes within the bus and coach sector. Nationwide Assessment Ltd provides transport consultancy services and training for bus and coach operators in the UK. North West Education and Training specialise in vocational training including driver apprenticeships and DCPC. All courses are organised by an experienced team of tutors/assessors who aim to complete training with as little disruption as possible to the learners and company business schedules. Novadata has over 20 years’ experience in providing training to the transport industry; courses are tailored to suit all levels of transport personnel and can take place at your own premises or one of Novadata’s well-equipped training venues across the UK. Courses include driver CPC, management CPC, digital tachograph training and drivers hours law. Professional Transport Services are specialists in all aspects of transport operations and management. Offering transport courses and consultancy services throughout the UK as well as providing legal/compliance advice and making representation on your behalf before the Traffic Commissioner. School Transport Management provides dedicated transport consultancy services to education establishments throughout the UK. The TAS Partnership is a consultancy whose sole focus and passion is moving the passenger transport sector forwards. From their employee-owned company based in Preston, TAS has been providing high quality and robust research, analysis and advisory services to the passenger transport sector for over 25 years.